Aortopulmonary Window is a rare congenital heart defect in which there is a connection (window) between the aorta and the main pulmonary artery. 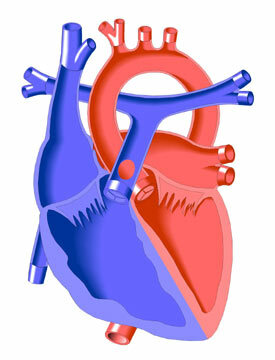 This opening allows oxygenated blood to pass, or shunt, from the aorta into the pulmonary artery at high pressure. Aortopulmonary Window, which affects males and females equally, can occur as an isolated defect, or with other defects or more complex heart diseases. Children with aortopulmonary window may occur as a result of a chromosomal defect known as Digeorge syndrome and lack a portion of chromosome 22 (22q11).